sheets of foiled vellum in the A4 size. Nice sturdy vellum with flawless foiling. And if that weren’t enough we also get a full sheet of mini alphabet stickers in silver, gold and white. And for just a little more icing on the cake, Lizi included 4 sheets of die cut elements too! There is a sheet of banners in both square shapes and triangles (I like that they have ‘flaps’ to go over some string (or ribbon! )), and this sheet of what looks like ‘journal-ing cards’ – these would work perfectly as a writing surface inside our cards! The third sheet of die-cuts feature tags and labels – some with sentiments and some without, and our fourth sheet has 8 die-cut paper bows in various patterns. These have small holes at the end and the centers of the ‘bow’ die-cuts and no ‘center wrapping strip’ so it appears that we are to assemble these using brads or other poke-through fasteners. That is a hefty bunch of papers in this kit! Enough to make dozens and dozens of cards! Our stencil this month is this large 8″ x 8″ sticky-back stencil of different circular patterns. This is just like the stencil we got in the LFL November 2017 kit that had the tree shapes. Our LFL peel-off stickers are in Black Glitter… LOVE THAT! and we also get 24 sticky-backed hexagon mirror pieces. Talk about SUPER SHINE! WOW! We receive these two small stamp sets with this kit – The large ‘Let’s Celebrate’ hexagon and the smaller set that features a detailed line-art star and five tiny sentiments that fit the opening in the center of that stamp – there’s ‘Best & Loveliest Friend”, “Made with Love”, “You’re a Star”, “Hey Lovely” and “hello”. Pretty standard greetings but some very unique shapes. Finally that brings us to our coveted Embellishments bag! Lizi always includes an assortment of ribbon in her kits and this month is no exception. First, there’s that 1″ wide black die-cut ribbon that says ‘CELEBRATE’ (mine needs a light pressing to straighten everything out), a 3/8″ wide grey velvet ribbon, and a 1/4″ white satin ribbon printed with ‘happy birthday’ in silver. Ther is also another batch of that terrific 1/8″ wide satin ribbon in Grey, Caramel, Black and White. My ribbon stash has grown by leaps and bounds since I began with Lizi!! We always get a bottle of Nuvo drops in Lizi’s kits – this month they are the Ebony Black Crystal Drops – and we are treated to a NEW Love From Lizi embossing powder in Silver Dollar! WOO-HOO! Our die this month is a ‘present’ die in three parts: the package, the ribbon and bow, and the tag. Totally adorable! We get our sample package of the Super Shine sequin mix in silver, gold, and black (naturally) and a big assortment of these gold and silver metal charms in an assortment of shapes and sizes! I also got the Sparkle and Shine Bumper Pack add-on this month for a bunch more of these lovely foiled papers and die-cuts. VERY INEXPENSIVE add-on for this month’s kit! The Bumper Pack includes another batch of eleven pattern papers and four vellum sheets in the same colors and patterns as the papers included in the kit (double-down!!) The Bumper Pack also includes these great foiled alpha stickers in silver and gold – LOTS of letters here – and a collection of die-cut sheets with new and different elements. The only repeat here is the sheet of die-cut banners in triangles and squares and that’s where the similarities end! We get a sheet of die-cut strips in different patterns and this sheet of labels and tags on the right… These remind me of luggage tags – with a front and a back and a place for your address! There’s a few smaller flags and simple labels too. Here are two sheets of die-cut gift card pockets – looks like there are four of them with some assorted tags and labels to fill out the sheets. We get these two envelope / note card die-cut sheets that would make 4 cards instantly! Then we get two copies of two different Gift Box die-cut sheets that will make matching boxes for small presents! Looks like the left sheets make more rectangular shaped boxes and the right sheets make thinner, broader boxes. Again, these 28 additional sheets included in the Bumper Pack come in at about $9.25 for the entire pack. Great bargain! 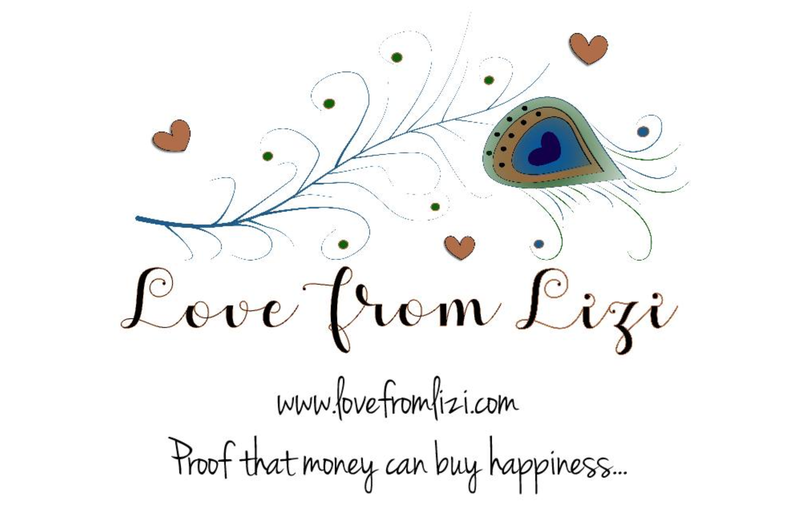 I have to say, one of my favorite things about the Love From Lizi kits is not only the huge amount of supplies you get every month, but the simple fact that Lizi isn’t afraid to change things up and surprise us sometimes with a kit that is completely original. This card kit is available at lovefromlizi.com as well as that great bumper pack and a huge assortment of other add-ons that coordinate perfectly with this kit. Remember, subscribers can add as much product as they like to their kits for no extra shipping as long as you place your ‘extras’ order before 7:00pm (EST) on July 25th. If you go shopping with Lizi, please use my link: http://bit.ly/LFLlink. Keep an eye out for my 10 Cards 1 Kit video featuring this card kit – I will post it as soon as I possibly can! Thanks for taking some time with me here today! Your presence makes all the difference! Happy Crafting!! How much does this cost a month if you do not purchase extras? Thank you. You seem to get plenty of goods.